Sometimes when using the mouse cursor begins to spontaneously jump around the screen. 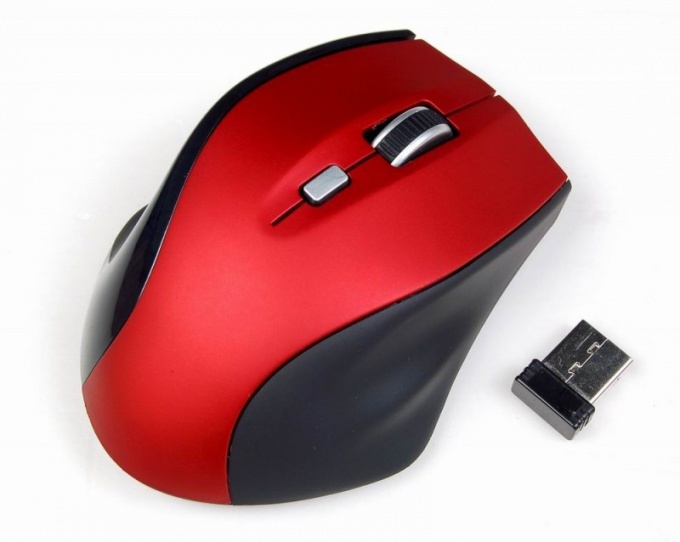 Cause of trouble may be a problem with the device itself, malware or improper use of your mouse. For the correct operation of optical and laser mice as a mouse pad use a matte solid surface such as a sheet of white paper. Glossy and patterned floor mats distort the signal on the motion sensor of the manipulator, causing the cursor begins to spontaneously jump. Jump cursor can be called pollution of the led. Inspect the glowing window on the opposite side of the mouse and, if necessary, clean with a cotton swab dipped in water to wipe the screen or in alcohol. Gently touch the wire that connects the mouse to the system unit, its breakdown can also cause chaotic movement of the cursor. If you are using a wireless mouse, try replacing the battery. Make sure that on the table in the vicinity of the mouse is a cell phone – its radiation also affects the operation of the device. Go to the control panel and check mouse settings. If you are using Windows XP, double-click the icon "Mouse" and go to the tab "pointer Options". In Windows 7 type the word "mouse" in the search line. Make sure that the option "Enable high precision..." checkbox is marked. The checkbox next to the option "Initial position of the cursor", on the contrary, should be cleared. Try to change the pointer speed using the slider and check the behavior of the cursor. Cause of trouble may be a virus. Check your computer for infections with the help of a reliable anti-virus program, for example, utility Dr.Web Cureit. Before you run the utility, disable antivirus program installed on your computer, antivirusnik because each will perceive the other as suspicious activity. Possible jumps of the cursor caused by the program-a joke that is installed on your computer by someone having access to it. Press Win+R and type in run msconfig. Go to the tab "startup" and leave the check boxes only reliable programs. To know what action accomplishes a particular file, you can search in the Internet. To control the movement of the cursor on another computer remotely Windows tools. Disconnect the computer from local network or from the Internet and check whether there is still a spontaneous move the cursor. If not, disable in system settings access to your computer. If you are using Windows XP, in control panel, double-click on the icon "System" and go to the tab "Remote". Uncheck the setting "Allow remote access". In Windows 7 double click the icon "My computer", click "system Properties" and click the link "configure remote access". Uncheck the checkbox next to "Allow remote assistance connections". Cheap optical mouse quickly fail. If all these manipulations did not help, it's time to replace the device.